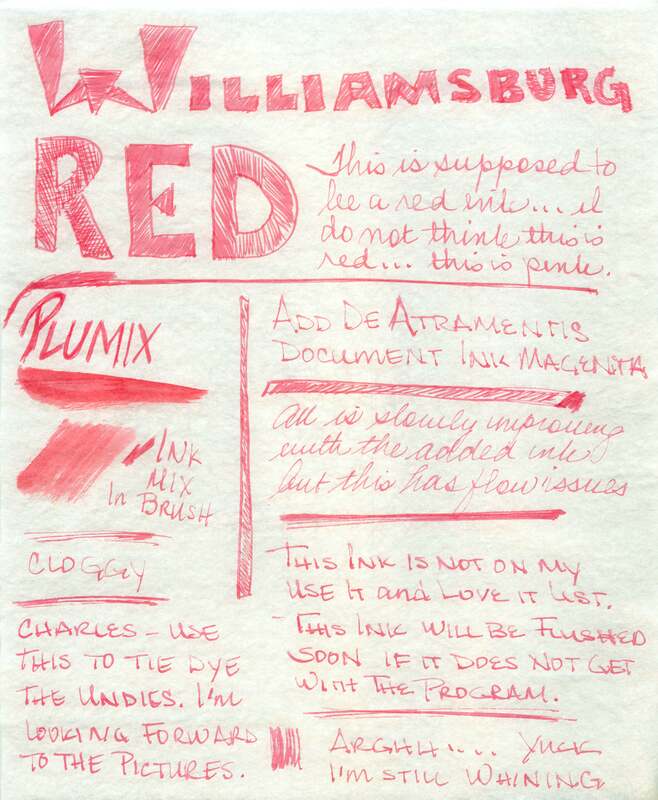 So, I mixed this with 100 ml of ink - so you have a concentrate. DO NOT USE this without diluting because it doesn't want to go into solution. You must add some water. Reminder - Adrienne already sent this to the EU members. 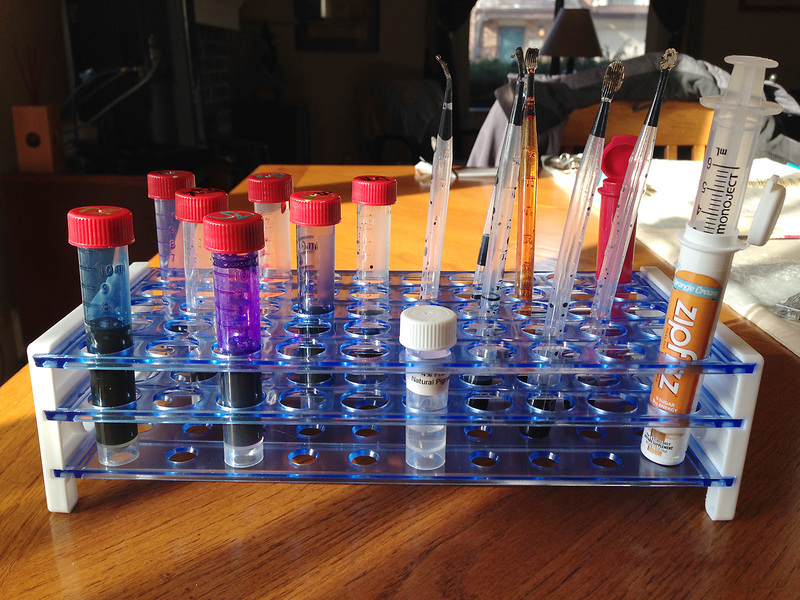 Phenol - You can add it to your current ink collection and 1 ml should be enough for your entire collection. After you add the drops, shake the bottle and then let it stand for a few hours or overnight. If I noted that I added phenol, then I added a lot of phenol, more than enough. Joy and bliss! Look what the morning mail delivered to my doorstep! Can't wait to get started. Images soon to follow! 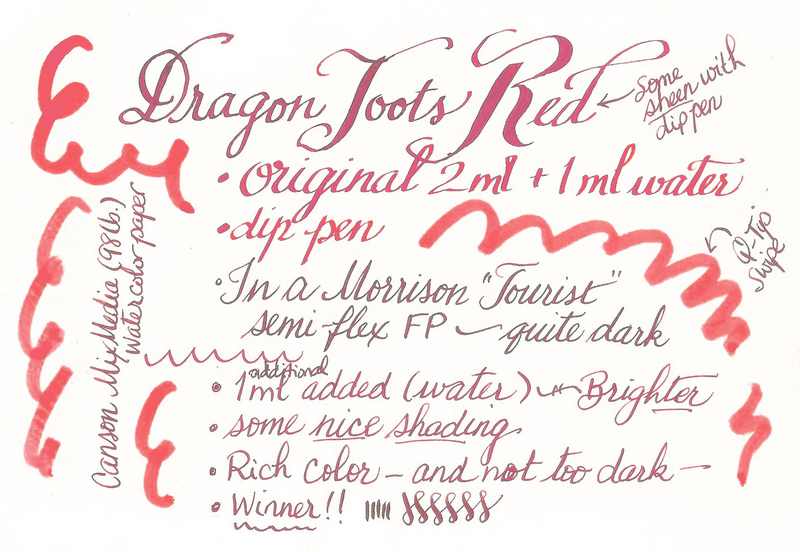 Good, deep red: similar to a "fire brick" red. 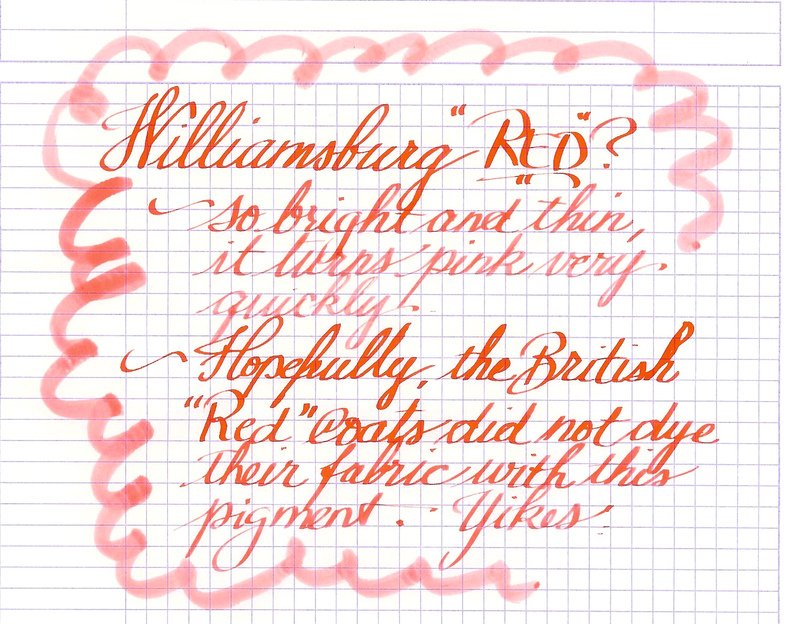 Sheen is nice. 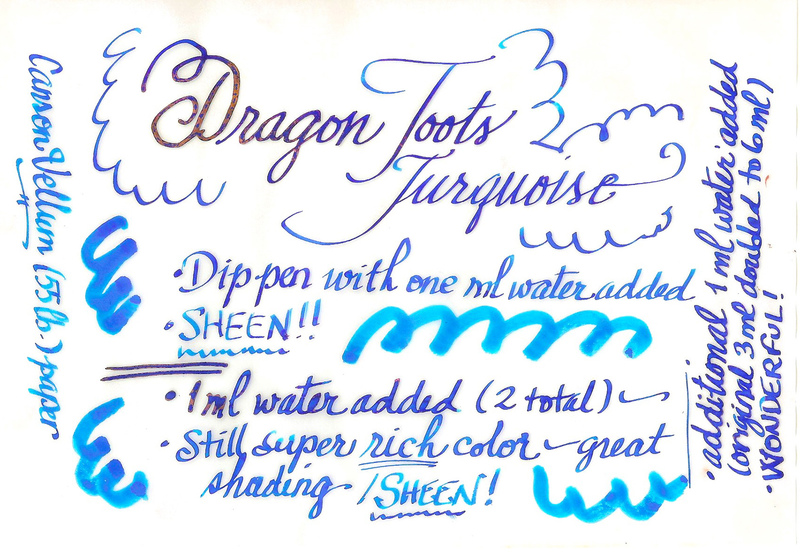 Next up, Dragon Toots Turquoise. GREAT. 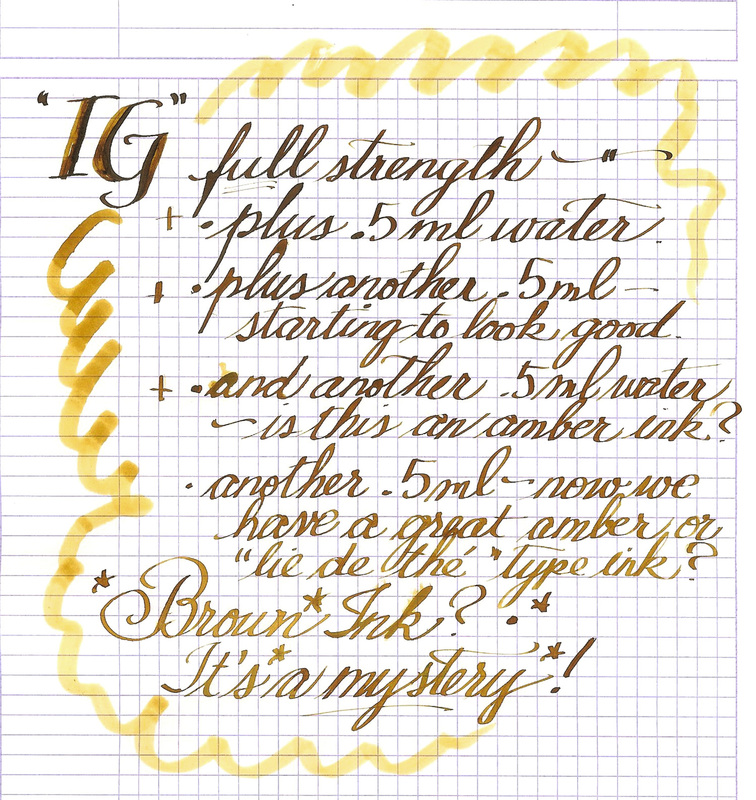 So far, the most saturated and richest of the inks. While it is somewhat similar to Kon-peki, I like this MUCH better. I'd buy it in a minute. 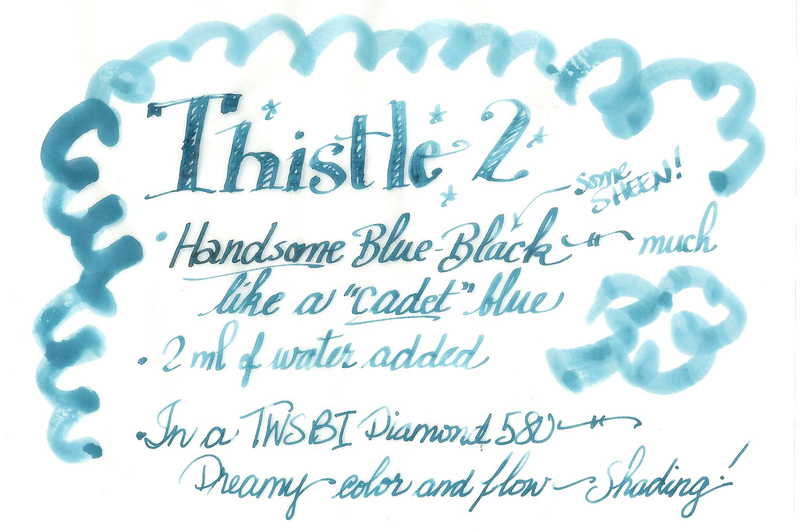 The dip pens shows a lot of variation in shade --the heaviest amount of ink after dipping is deep and dark; then the pen is almost out of ink, bright and more turquoise. LOVE IT LONGTIME. Edited by HalloweenHJB, 17 January 2015 - 19:12. And my last for today, Thistle #2. Like it a lot! I'd call it a "cadet blue" (like a military school uniform). 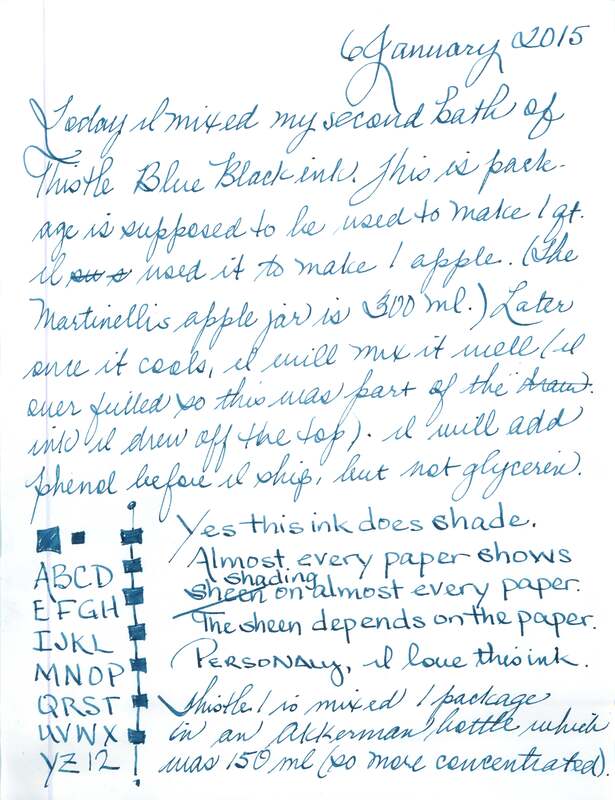 I do not normally like blue-black inks, but this one really appeals to me. Subdued, but rich color. Yum. Edited by HalloweenHJB, 17 January 2015 - 19:04. Hmm... 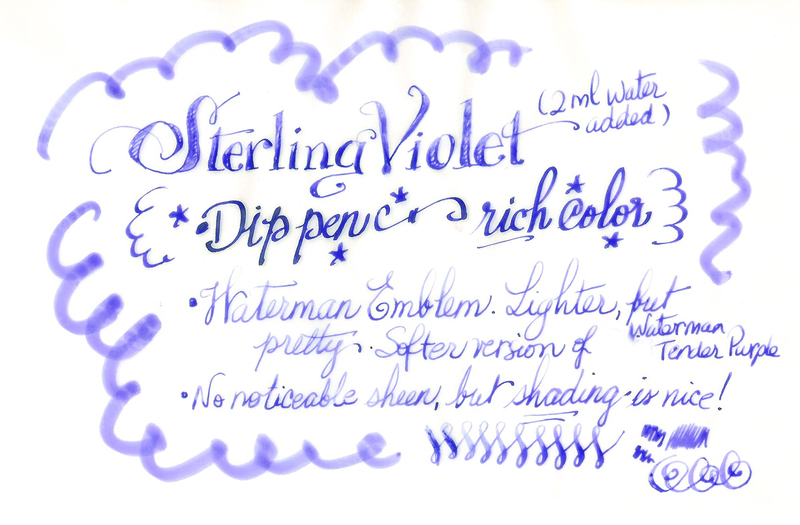 I had a dang hard time mixing the Sterling Violet. I tried not to grab dregs or cloggy stuff. So perhaps you don't need to dilute. Now what to put in which pen first? OK, I give up. What's the color of "IG"?? 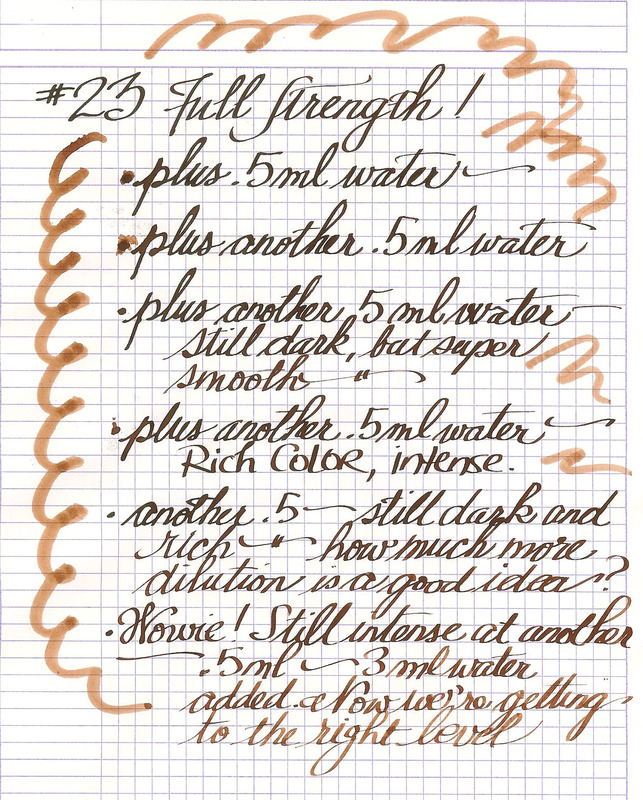 #23 is a very pleasing chocolate brown. 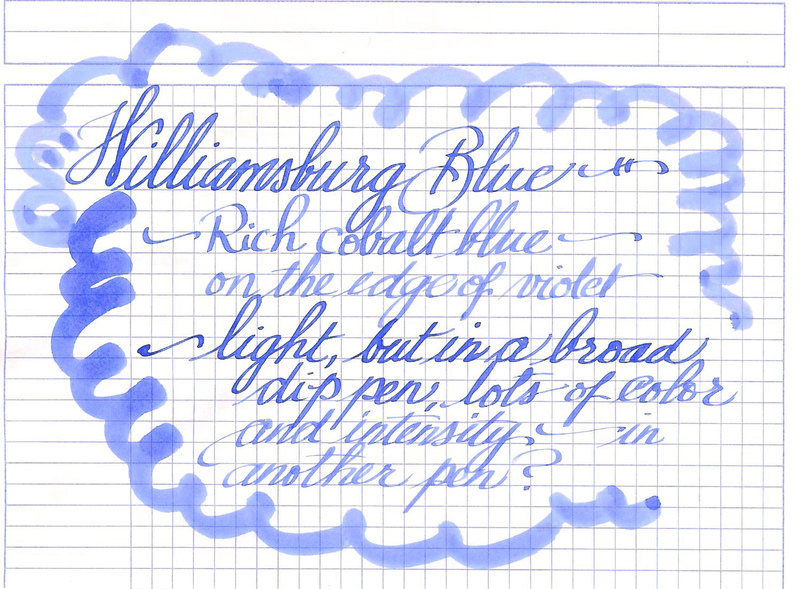 Pretty, but very thin, very undersaturated ink is "Williamsburg Blue." It's OK, but there are plenty more richer colors than this.